It’s Revival time! 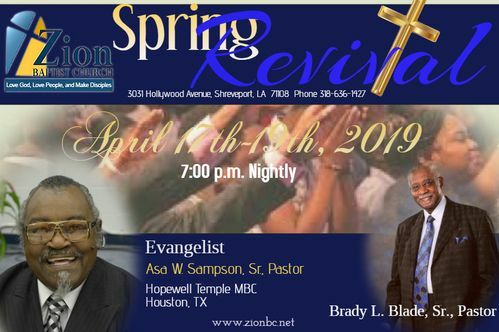 April 17th-19th at 7:00 p.m. Our Evangelist this year is none other than the Houston Preacher, as our Pastor calls him, Pastor Asa W. Sampson, Sr. Pastor Sampson's congregation, Hopewell Temple Missionary Baptist Church, of Houston, TX, will be our special guest on Friday night. We're excited to have you in attendance! Join us as we celebrate the resurrection of our Savior Jesus Christ. Pastor Blade will bring a most vital word from God as it pertains to our risen Lord. 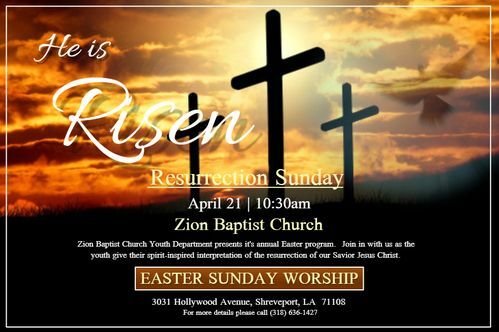 Zion Baptist Church Youth Department presents it's annual Easter program. Join in with us as the youth give their spirit-inspired interpretation of the resurrection of our Savior Jesus Christ. 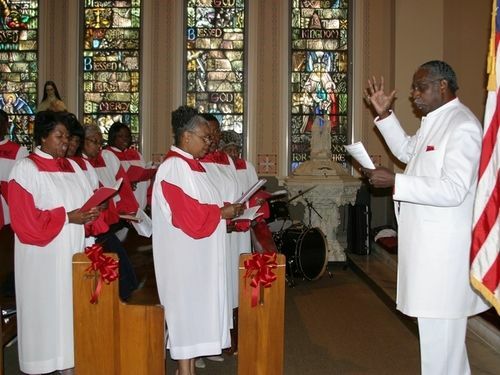 The 27th Anniversary of the Red Mass will be celebrated at 9 a.m. Friday, May 3rd, 2019 at Holy Trinity Catholic Church, 315 Marshall Street, Shreveport. 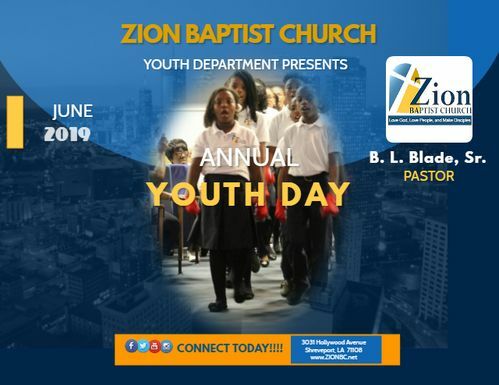 Pastor Blade and Zion Baptist Church Mass Choir will provided music. The Red Mass is named for the red vestments worn by the clergy participating in the Mass, which is a celebration of our judges, lawyers and officials of all faiths from north Louisiana to ask God’s blessing and guidance in the administration of justice. In the Diocese of Shreveport, it is held annually on the first Friday in May. 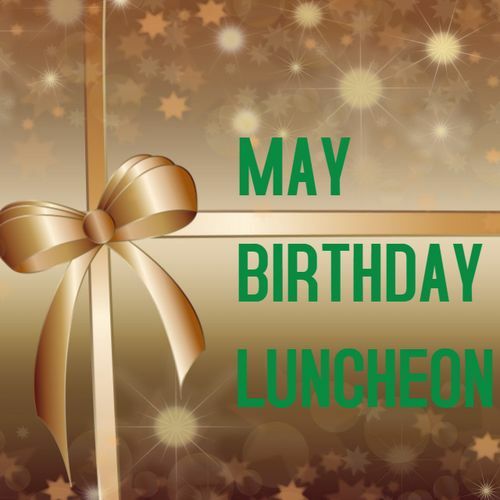 The May Birthday Luncheon to be held the 3rd Sunday, May 19th, after our 10:00 a.m. Worship Service. 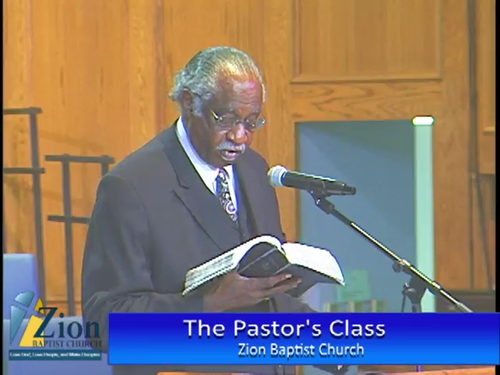 In celebration of Pastor Blade's 80th birthday, Dr. Kevin Carter, MD, will deliver a special message. 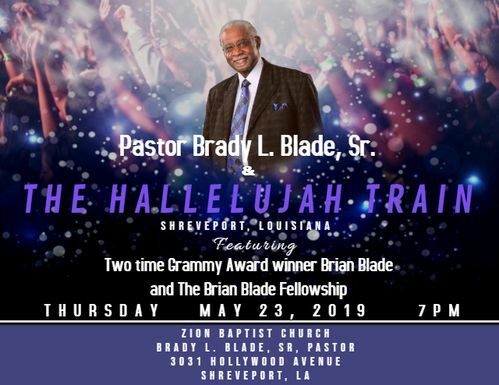 Please join us as we give thanks to God for the leadership He has provided through His servant, Brady L. Blade, Sr.
Pastor Brady L. Blade, Sr., brings The Hallelujah Train back to Zion Baptist Church on Thursday, May 23, 2019 at 7:00 p.m. in the church sanctuary. The Hallelujah Train, as always, will render some of the best gospel music ever performed by Pastor Blade and the Zion Baptist Church Mass Choir. Two-time Grammy Award winner Brian Blade along with The Brian Blade Fellowship will be the featured guest. Dr. Kevin Carter, MD, will deliver a special message. Please join us as we give thanks to God for the leadership He has provided through His servant, Brady L. Blade, Sr.
Zion Baptist Church will be in fellowship with Greater Mt. Carmel Baptist Church, St. Louis, Missouri, Rev. 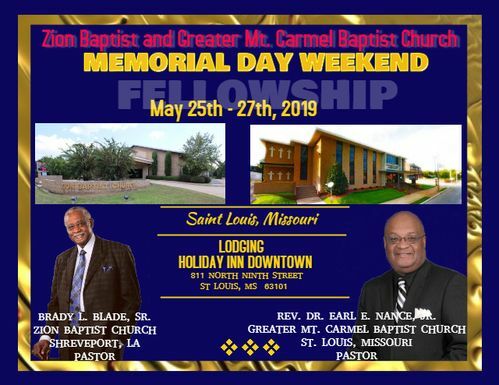 Dr. Earl E. Nance, Jr., Pastor, Memorial Day week end. On Sunday, May 26th, Pastor Blade will be preaching at the 10 a.m. worship service, accompanied by the Mass choir. The Hallelujah Train will be in concert Sunday May 26th, at 6 p.m. at Greater Mt. Carmel Baptist church. 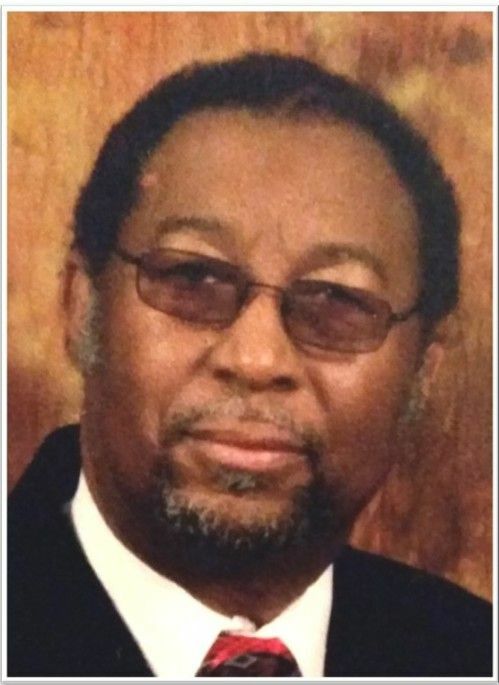 Pastor S. Charles Gardner, Sr. and the Olive Grove Missionary Baptist Church, Shreveport, LA, will be in fellowship with Zion Baptist Church. 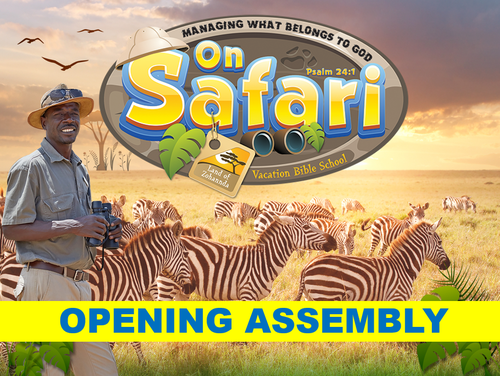 Pastor Gardner, who is a son of Zion, will be preaching at 8 a.m. and 10:30 a.m.
Join us as we go on safari to the Land of Zohannda in this year's annual Vacation Bible School, held from 6 p.m. - 8 p.m. June 3rd through June 7th. This year's theme is "Managing What Belongs to God," with the scripture reference taken from Psalms 24:1, "The earth is the Lord's and the fullness thereof." We encourage each and every member to be in attendance, and be sure to invite your family and friends. 8 a.m. and 10:30 a.m. worship service. 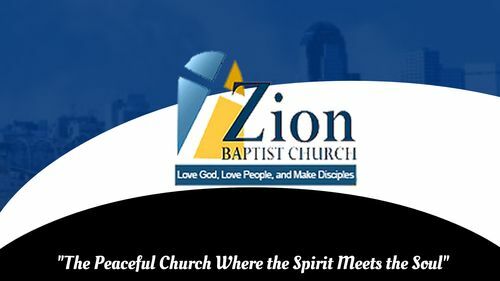 Zion celebrates it's 82nd church anniversary on November 17th, during the 8 a.m. and 10:30 a.m. worship service. 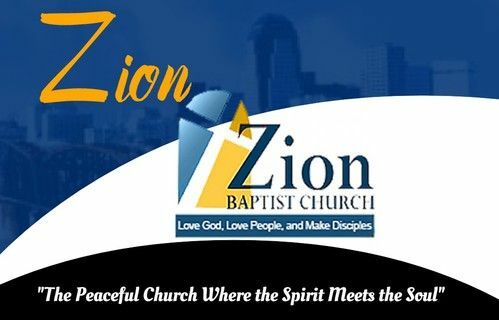 This year, Zion will worship Wednesday, December 25th on Christmas morning at 8 a.m. Come out and worship the new born King! Remember, He IS the reason for the celebration.